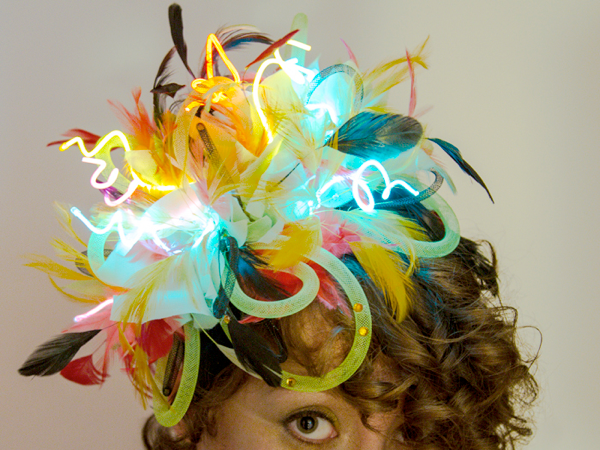 EL Wire Festive Fascinator #WearableWednesday « Adafruit Industries – Makers, hackers, artists, designers and engineers! Mostly hand-sewn with the intervention of hot glue. Composed of feathers, pretty things of delight and a recuperated electroluminescent wires from the class tutorial and other student projects.